Latest Update (3.3) contain Win32:Evo-gen virus? 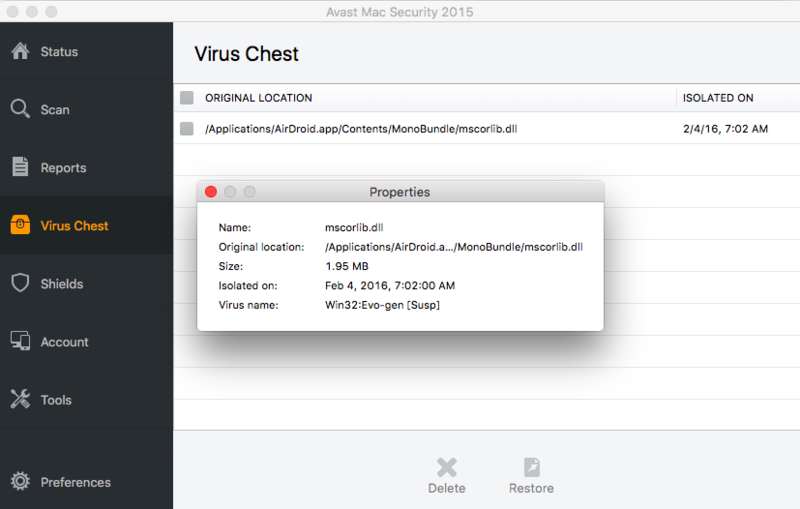 When I tried to update AirDroid desktop client to the latest version (3.3), my Avast Mac Security blocked the installation. Anybody having the same problem with me?